Bryant Elementary School is scheduled to be demolished in January as the Lake Oswego School District prepares to build a new Lakeridge Junior High. Needless to say, that has prompted a flood of memories on social media from former students and other community members. "I went to Bryant for grades 1-6 in the late 1970s-early 1980s," recalls Kristin Zoller Kohorst, echoing the thoughts of many, "and they were magical years in my life! I'm so thankful and so sad to see this special place go." Kohorst can still recite the names of all of her teachers at Bryant. Hayley Platt says her grandma taught there. Others look back fondly on games of four-square under the covered play area, classes in the pods and even a Burmese python named Miss Vivian. For many community members, it's the student-made tiles and colorful mosaics and murals adorning the school that stir the most vivid memories. "One of my tiles is up there," Brittany Zika says. Those tiles will be on full display Dec. 8, when the district hosts an ice cream social at Bryant to pay tribute to a school that played such an important role in the community. The gathering is scheduled from 1-4 p.m.
"Hundreds of students have passed through the Bryant campus and left their mark — quite literally," says Christine Moses, the district's director of communications. "LOSD is working with the Arts Council of Lake Oswego to document and preserve artwork and memorials at the Bryant site, with input from the community, artists and professionals. Many methods and options for preservation are available — from photo documentation and 3D scanning to reproductions and virtual reality tours." "We are excited to explore how we will preserve the contributions to this school," Moses says. In addition to the distinctive artwork, Bryant Elementary is also remembered for its hexagon-shaped classroom clusters, which are best known as "pods." There were three pods consisting of six classrooms each, for a total of 18 rooms. Centered in each cluster was a room for storage and group instruction. Moveable walls, which allowed teachers to combine classes if needed without a lot of disruption, were also unique to the school. Between the clusters was a covered play area and a multi-purpose building with stage, offices, carpeted library, conference room and resource room, where tapes, filmstrips and records were available to students. Connecting the clusters to the main building were two corridors that ran along each side. Outside walkways connected the clusters. Bryant Elementary had two kindergarten classrooms. Although they were not part of the clusters, the classrooms were six-sided. Storage facilities and bathrooms were in a corridor between the two rooms. Architects for the school were Palmer A. Hewlett and James W. Jamison, who also designed the Sisters of St. Mary's campus. Contractor's Inc. was the general contractor. 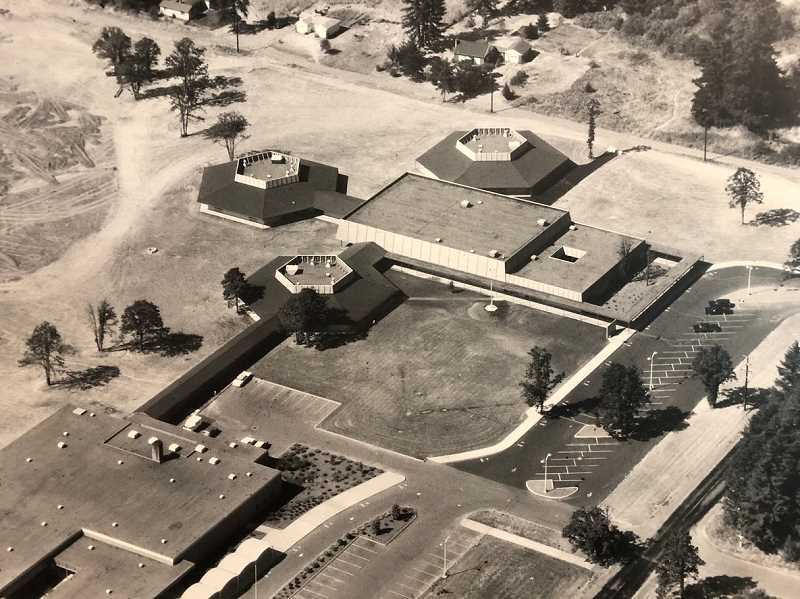 Construction of the new school began on Nov. 1, 1965, and the building was ready for students the following September. Enrollment in the fall of 1966 was 460 students. Bryant Elementary was named for Charles Wesley Bryant, who moved with his wife Mary Faye Bryant from Java, N.Y., in the spring of 1853. "They traveled by covered wagon with a group of Methodist missionaries led by Rev. Harvey Hines," reads a memorial plaque that sits at Bryant and Jean roads, just west of the tennis courts, where the Bryants settled. "They arrived in October 1853 and acquired this homestead. Seven of their nine children were born and all reared in this home. Alta & Vesper, born in N.Y., Hale D., Ella C., Lee, May, Charles P., Myra, Cordelia. They were always active in church and community betterment. All honor to those courageous pioneers." Immediately upon arrival, Bryant filed for a donation land claim — land given by the government to either a married couple (600+ acres) or an individual (300+ acres) at no cost. In exchange, the recipient was expected to work the land. Like others requesting donation land claims here, Bryant wanted his to be along the Willamette River, where the soil was fertile and would yield saleable crops. 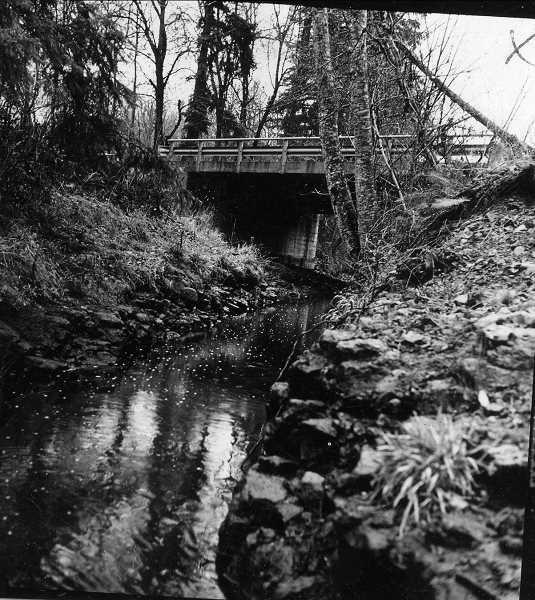 But that land had already been spoken for, so he had to settle for property that ran from what is now South Shore Boulevard along the main Oswego canal south to the Tualatin River. 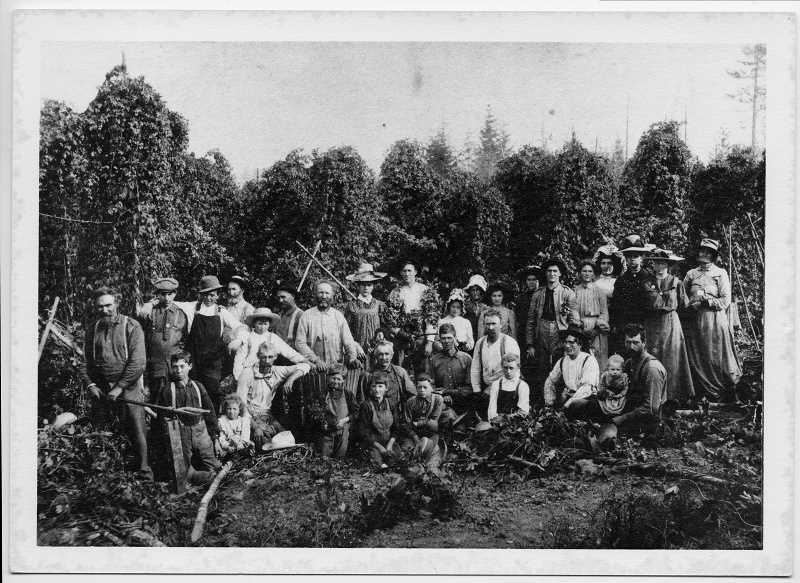 Although he didn't get the fertile land he wanted, Bryant was successful at growing hops, logging and planting prune and pear orchards. He built his barn and homestead where Waluga/Lakeridge Junior High now stands. "Great-grandpa Charles had one of the biggest hop farms here and was one of the original hop growers," remembers his great-grandson, Walter Durham Jr., in Theresa Truchot's oral history project "In Their Own Words." Growing clover in Oregon is another Charles Bryant success story. Durham recalls that "when great-grandpa first arrived here, he discovered there was no red clover. He demanded to know why it wasn't grown in Oregon. Someone told him it would not grow in the Willamette Valley." Bryant's retort, according to Durham: "I will prove that it will grow here." He sent to New York for one bushel of clover seed, which arrived by mail in small packets during the latter part of April 1854, just in time for planting on Bryant's farm. At one time, many fields of this clover — a deep, unusual shade of red — could be seen along I-205 from Oregon City to the Salem freeway. According to the book "Seed, Soil and Science" by Helen Marie Cavanaugh, Funk Seed Company heard of Bryant's success and agreed to sell his clover seed in their catalog. Sales skyrocketed from $4,500 in 1905 to $38,000 in 1908. Needless to say, no one ever questioned again whether red clover would grow in the Willamette Valley. Although he cultivated his land profitably, Bryant was also a skilled millwright by trade. For many years, he earned a living building sawmills from here to Spokane. Among his many notable projects: the Carman House, which is today the oldest home in Lake Oswego. 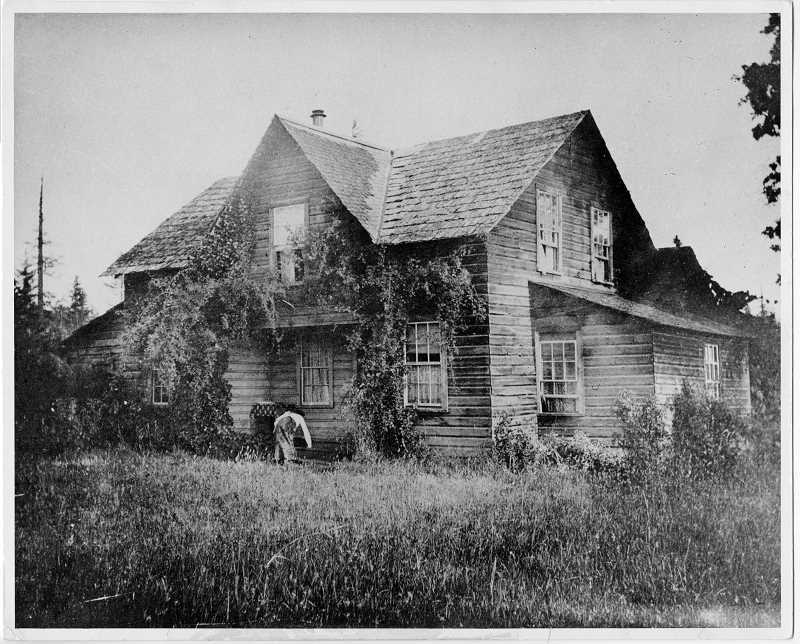 He built the house in 1855 with his friend, Waters Carman, at the corner of what is now Carman Drive and Wilmot Way. Descendants of Waters and Lucretia Carman, the first couple to marry in Oswego, have owned the house since it was built. Charles Wesley Bryant and Mary Elvira Fay were themselves married on Jan. 31, 1849 — three years before coming to Oregon. They celebrated a 60th wedding anniversary in 1909 at the home of their daughter, E. L. Lane. Mary passed away shortly afterward at 80. Charles died on Oct. 26, 1915, at the age of 88. Both are buried at River View Cemetery. 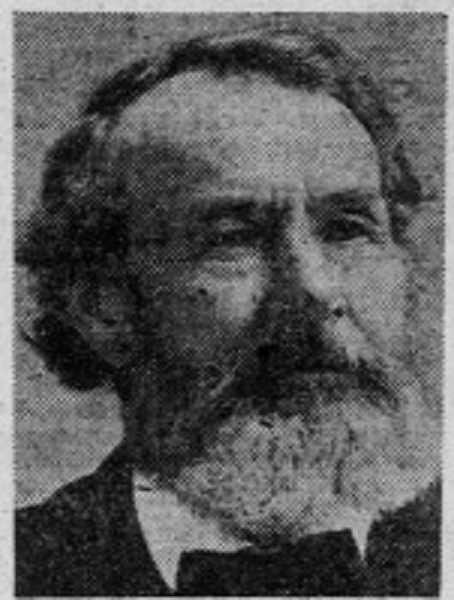 And according to Walter Durham Jr. in a Lake Oswego Review article, "all of the Bryant children made significant contributions to education in Lake Oswego and down the Willamette Valley." That legacy will certainly be honored on Dec. 8, when the elementary school that bears Bryant's name will be celebrated in style. Sources: Lake Oswego Public Library archives; "In Their Own Words," by Theresa Truchot; "Covered Wagon Women," compiled by Kenneth Holmes; "Seed, Soil and Science," by Helen Cavanaugh; "Oregon's Iron Dream," by Mary Goodall; and "Iron, Wood and Water," by Ann Fulton. When: Saturday, Dec. 8, from 1-4 p.m. An official program is planned at 3 p.m.